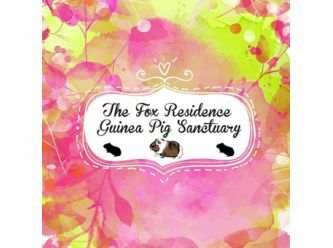 The Fox Residence Guinea Pig Sanctuary aims to provide a safe haven for special needs guinea pigs that have been abused, neglected, or who may be unadoptable due to old age, health/medical problems etc. We provide both a loving permanent environment and high quality medical care for all the residents here. 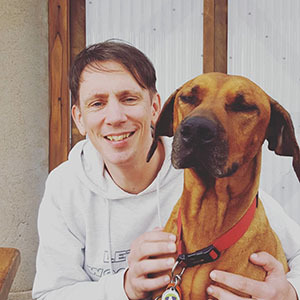 We believe that all animals who are capable of rehabilitation should have the opportunity to live a happy life. We also regularly re-home healthy guinea pigs, rats, and mice who are in need of a new, FOREVER, and loving family. 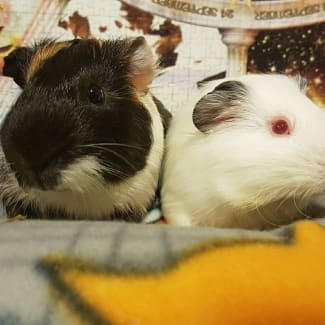 Please complete our online application if you are interested in adopting any of our beautiful guinea pigs. These lovely boys came from a pretty awful place, where they had no handling ever in their tiny lives, and were malnourished. Now they are healthy they are on the lookout for a patient and forever home. They are both young and energetic boys, but they are quite timid. 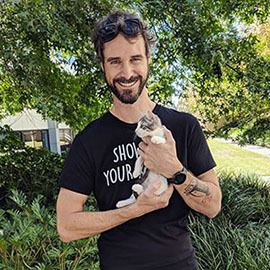 As they are still young it won't take long for them to come out of their shells when they receive some one-on-one TLC with a loving and kind person.